This year’s Eurobike didn’t disappoint. It’s the big stage where some companies display their best products, prototypes, and some use it to announce their latest innovations. Fortunately for the indoor smart trainer market, companies were innovating with new products and upgrades to their current lineup. An indication of a healthy yet competitive indoor smart trainer market. Unfortunately for me, I wasn’t able to attend in person this year to try out some of these new products in person and take some photos. But I should be getting most of them to try out in person and will have my full in-depth reviews on this site. And as usual, DCRainmaker and Shane Miller were there in person so make sure to check them out as well. 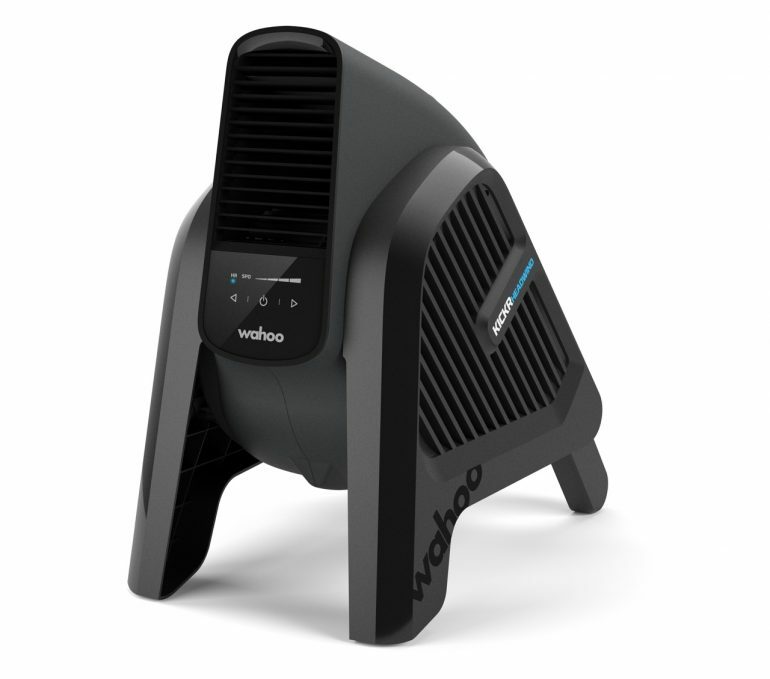 Wahoo Fitness introduced three new products: The KICKR 2018, an all-new KICKR CORE, and a new smart fan; the KICKR HEADWIND. Also, Wahoo finally started to ship the Climb after hitting few bumps in production. So if you want to order yours, you can do so by placing an order directly from their website. I do have one that I’ve been using for the past few weeks and my review should be out in the next week or so. 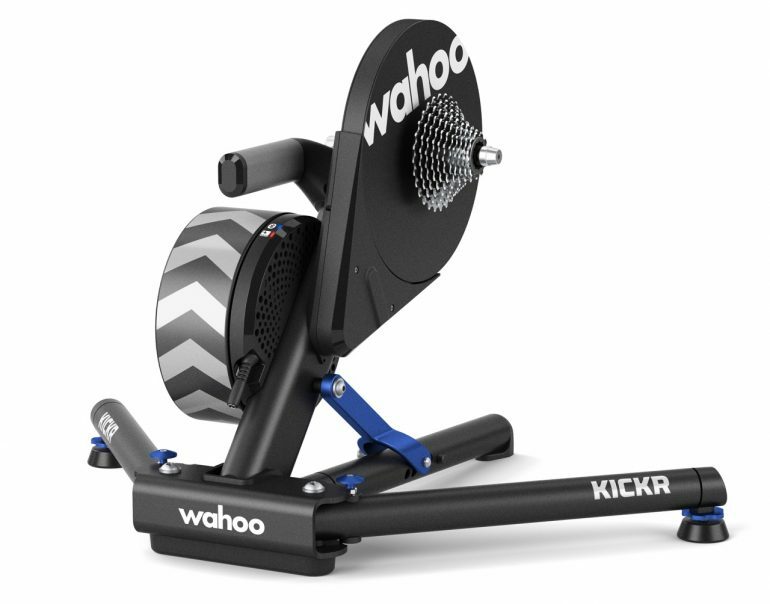 KICKR 2018: The KICKR’s new design drastically reduces both its volume and pitch levels, making it a virtually silent trainer according to Wahoo. 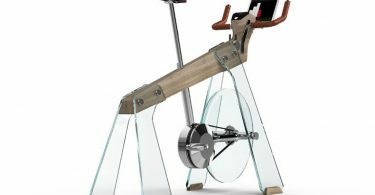 Other updates include a larger flywheel (16 lbs), same power measurements (up to 2,200 watts) and 20% grade simulation. The KICKR 2018 is available to order today for mid-July delivery and priced at $1,200. 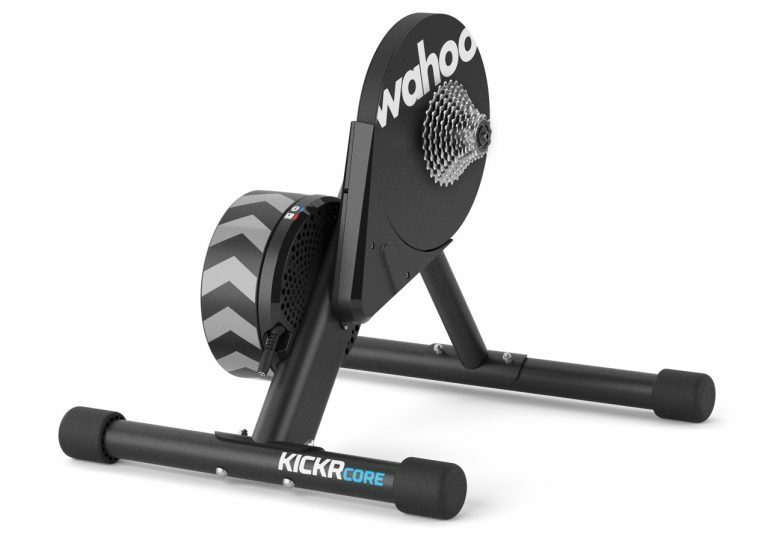 KICKR CORE: The Core is Wahoo’s attempt to enter the midrange direct drive trainer market and go head to head against the Tacx Flux and Elite Direto. The Core uses a lot of the same technology and hardware in the Wahoo KICKR Direct drive but with a smaller flywheel, less max power, and less max grade. The CORE will be available to order later this summer for $899. HEADWIND: The Headwind is a smart fan that responds to the intensity of your workout and adjusts to keep you cool. By connecting to heart rate monitors, smart trainers, or speed sensors, the new KICKR HEADWIND automatically adjusts the fan speed and deliver up to 30 mph wind based on your effort. It’s available to order today for $250. 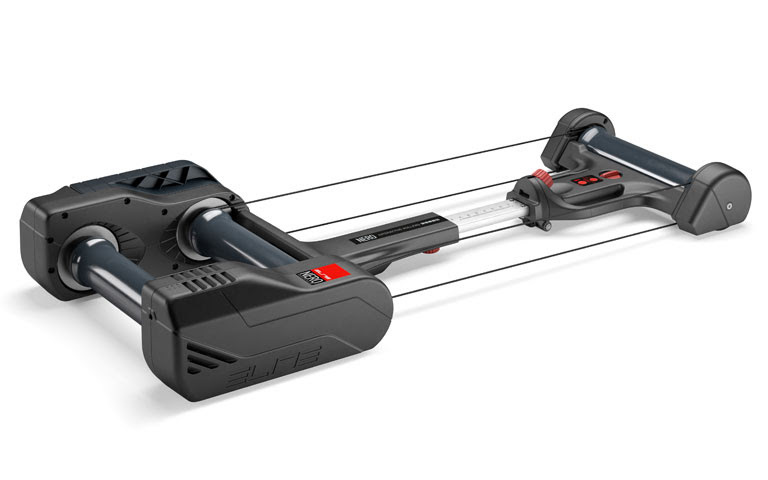 The Italian company Elite introduced three new products at Eurobike: Drivo II, NERO, and FUORIPISTA. 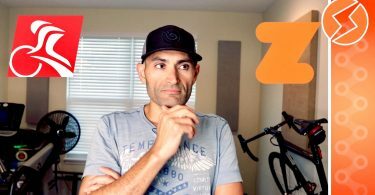 That last one will cost you more than your fancy carbon fiber bike with fancy wheels but let’s get to the details of the products for the masses first. Elite DRIVO II: The DRIVO II is an update to their DRIVO direct drive trainer. It comes with an OTS (Optical Torque Sensor). 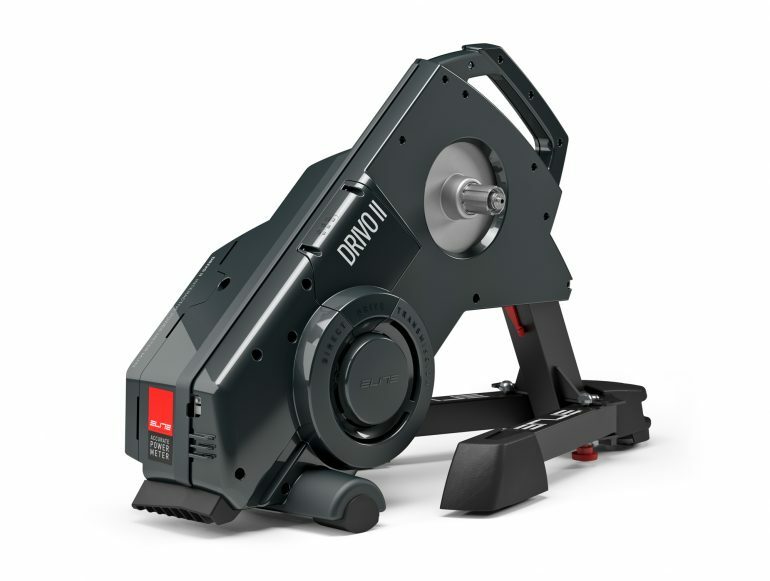 This sensor measures power output with an unprecedented +/- 0.5% accuracy making Drivo II the most accurate home trainer ever released that I know of. Elite implemented two flywheels (2.7kg each) in the rear rollers to give you better road feel and pedal roundness. The NERO also has a floating base to absorb abrupt movements and makes it easier to ride especially for beginners. TACX FLUX: Tacx updated the Flux smart trainer with support for long cage derailers, better accuracy, and a heavier virtual flywheel mass up to 32.1kg from 24.7 . Also, they improved the low-end watts – aka floor watts – for smaller riders. This was an issue with the first Flux where some riders couldn’t get resistance below 100 watts. The Flux will be priced at $899 and and will be available later this year. The original Flux is now selling on Amazon for $799. 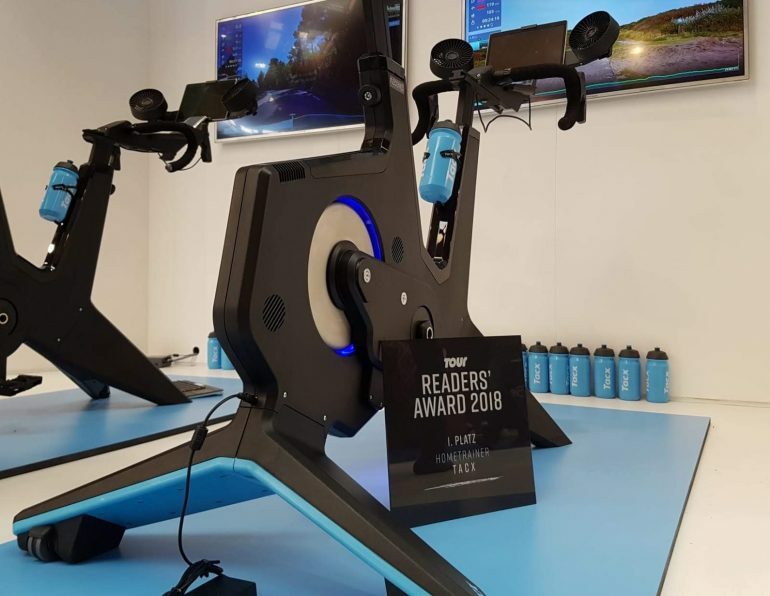 TACX NEW SMART BIKE: Tacx showed off the Tacx smart bike last year at Eurobike but we’ve heard nothing since. However, this year, the Tacx smart bike was on full display and Tacx should be ready to start shipping later this fall. What makes this bike interesting is the fact that its self-powered just like the NEO smart trainer. It’s still mind-boggling to me that all the major brands haven’t done that yet. There is a lot of power generated by the riders and it’s all going to waist. Another interesting feature is the ability to configure gearing to replicate any cassette configuration to match your needs. U.S. pricing isn’t finalized yet but expects it to be around $2,600 USD. CycleOps had a rocking platform on display. This is only a prototype of a project they had been working on for about eight years and have no name for it yet. Similar to the ROCKR Plate, which I’ve reviewed here, it is meant to rock your bike side to side to simulate outdoor riding. But what makes this one different, is the free-floating motion. The CycleOps rocking platform is also compatible with trainers from different brands so you are not limited to only using CycleOps trainers. As for availability, I don’t expect to see or hear anything on this for another year or so. It still looks like an early prototype and they have a lot of things to iron out from a design perspective, pricing, shipping costs, etc. CYCLEOPS H2: The Hammer got a little update as well. You will be seeing a newer version of the Hammer or H2 later this summer or early fall. The new Hammer will have improved accuracy (+/-2%), better road feel, and an integrated cadence detection. CYCLEOPS M2: The Magnus or M2 got a minor update in power accuracy, cadence detection, and ride feel. It should be available in late September. The H2 and M2 will also feature a headless mode. Meaning it will simulate a standard fluid trainer when ridden unpaired or unplugged. That’s all for now. More reviews and things to come in the next few months that I will be able to share with you.